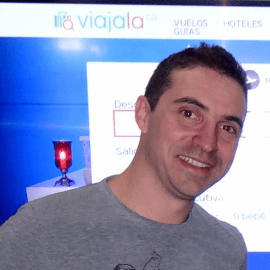 Josian Chevallier is Co-founder and VP Business Development for viajala, the largest travel metasearch in Latin America. Each month, viajala helps millions of travellers find their best flight or hotel arrangements by comparing hundreds of travel providers in real time. Josian has 15 years of experience leading sales teams in the software and internet industries. Prior to viajala, Josian was European Head of Sales for Shopzilla, a product metasearch portal, and a software distributor. Josian is a nature lover and always eager to climb the nearest mountain.